Unmanned vehicles, augmented reality and artificial intelligence are no longer terms from science fiction, it’s a reality. Every day, new technologies penetrate deeper into our lives. With their help, not only production processes are automatized, but even individual jobs are being robotized. For example, a legal advice service has recently been created and successfully launched, the effectiveness of which is significantly higher than that of human lawyers. Of course, the opportunity to save on cost of employees is especially attractive for the retail market. Until recently, this issue was partly addressed through the development of e-commerce, where most of the innovation was concentrated. However, last year the time of cardinal changes came for offline retail. At the end of 2016 the first unmanned round-the-clock store opened in Sweden. What is significant is that it was not opened by one of the larger players in the market, but by a simple programmer from the outback – a 39-year-old Robert Eliason. He came up with this idea by an everyday situation. Late in the evening, the man accidentally broke a bottle of baby food and had to drive 20 kilometers to the nearest supermarket to buy a new mixture. 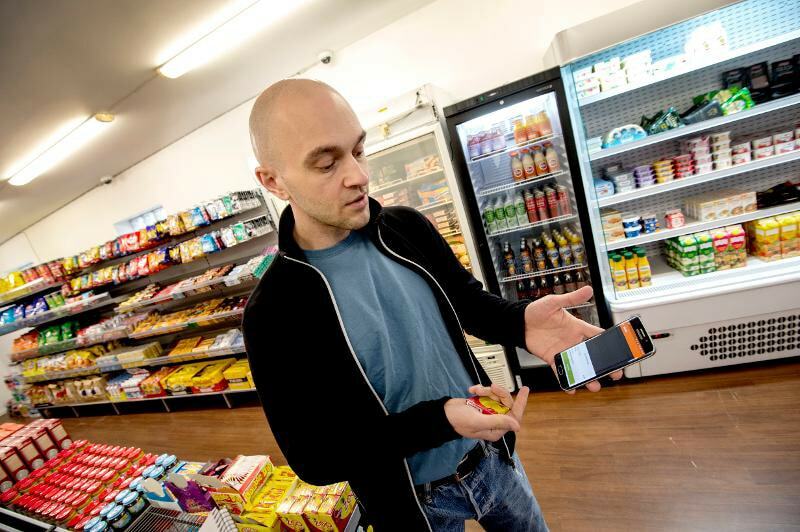 Without thinking twice, Robert wrote a mobile application, through which buyers of his offline store in the small town of Vinek can unlock the doors and make purchases. Having chosen the goods, they simply scan the barcodes with a smartphone, and go home safely. At the end of the month, electronic bills are sent to all customers. The only thing that distinguishes Robert’s mini-market from a regular store near the house is that they do not sell cigarettes and medicines here so as not to provoke theft. It was curious that it was the Swedes who proved to be the most enterprising nation in the unmanned retail niche. In early 2017, the Swedish company Wheelys opened the first store in Shanghai without sellers and cashiers. The technology is the same: to get to the store, you need to install the application on your smartphone and link it to the bank card. The doors to the store open when the registered customer approaches them. The purchases are also scanned and at the exit of the store the application charges the credit card for their purchase. However, the store owners in the metropolis are not so carefree as in small towns. For security and theft prevention, they use surveillance cameras. Automated stores appeared before 2016 as well, but they used more simple technologies, such as electronic terminals. Alas, such sales outlets, as a rule, went unprofitable. The current innovations seem to be ready to change the situation for the better. Anyway, the bet on it is made by one of the largest online retailers in the world –Amazon. At the end of last year, the company launched a beta version of the grab and go grocery store for its employees in Seattle. The solution is based on automation and artificial intelligence (AI). There are no cashiers or security services in the store. The buyer installs on the smartphone an application that automatically creates a virtual basket, scanning when the products are removed from the shelves and returned to the spot. At the exit, the amount is written off of the visitor’s account. The retailer plans to make Amazon Go (this name was given to this type of retail trade) accessible to the general public. It is noteworthy that Amazon began to develop offline retail only a year earlier - from bookstores in Seattle, and then to San Diego, Portland, Boston and Chicago. It seems that soon we will hear a lot of interesting things about offline trading from this shark of the world retail. If you talk about the global retail market as a whole, in the coming years the share of technological offline retails on it will only grow. Because the fashion for new technologies is dictated by the buyers themselves. According to Sonar (J. Walter Thompson’s own research subdivision), consumers are extremely interested in how technology, for example, artificial intelligence will be applied in retail. 70% of American millenials and 62% of British teenagers say they will support retailers who use AI. 72% and 64% of respondents respectively believe that the artificial intelligence will help retailers to predict their buyer preferences more accurately.